Douzelage Zvolen organised the contest “Douzelage Young Musician of the Year 2016”. Young Musicians from 10 different Douzelage partner-towns performed to play a grand finale in Zvolen Castle. The project was originally conceived to give young musicians a range of experiences; to let them mix with their peers from other nationalities and to help them appreciate how music brings them together. This year’s competition did just that. Our students worked hard musically, practicing independently for their own competition recital and in ensembles with the other musicians. 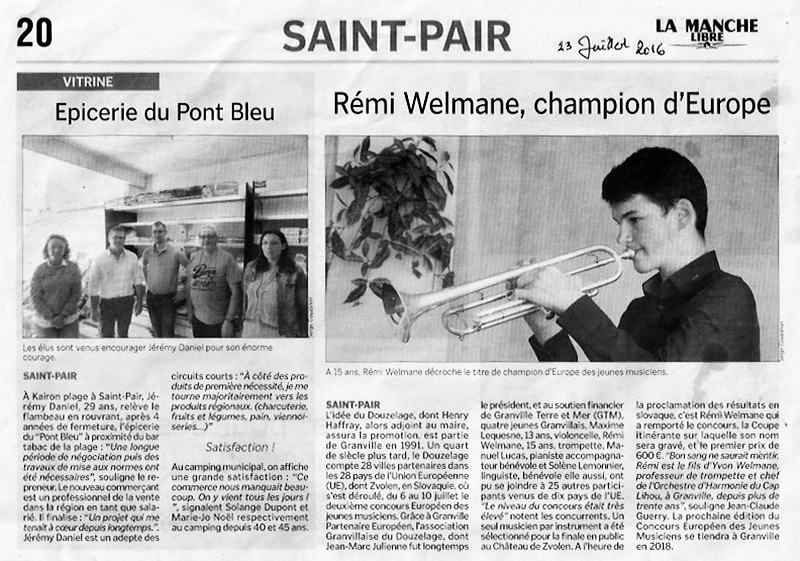 The winner was Rémi Welmane from Granville. Congratulations!